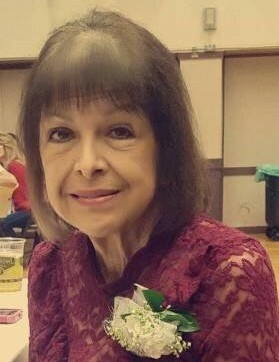 Avelina Cole passed away on March 14, 2019 at the age of 66. She is preceded in death by her father Everett DeLeon. Avelina is survived by her devoted husband Vincent Cole, Mother Mary DeLeon, brother Everett Jr., daughters, Julie Rocha and Janessa Ortiz along with 4 granddaughter’s, Zephyr, Stella, Saffron and Starlet. She is also survived by a niece, Jen Ortiz, and Nephew Everette. Avelina was born June 2, 1952 in Houston, Texas and raised in Palmdale, Ca. where she graduated High School. Avelina enjoyed spending time with loved ones, dancing and riding motorcycles. She was a proud Grandmother had a knack for making friends everywhere she went. There will be a memorial service at Ivers and Alcorn funeral home, 901 West Main in Merced, Sunday, March 24, 2019 at 12:00 P.M. followed by a celebration of life at the Veterans Memorial Building, 939 West Main Street.